Today we participated in a unique veteran accessible vehicledonation in Omaha, Nebraska. 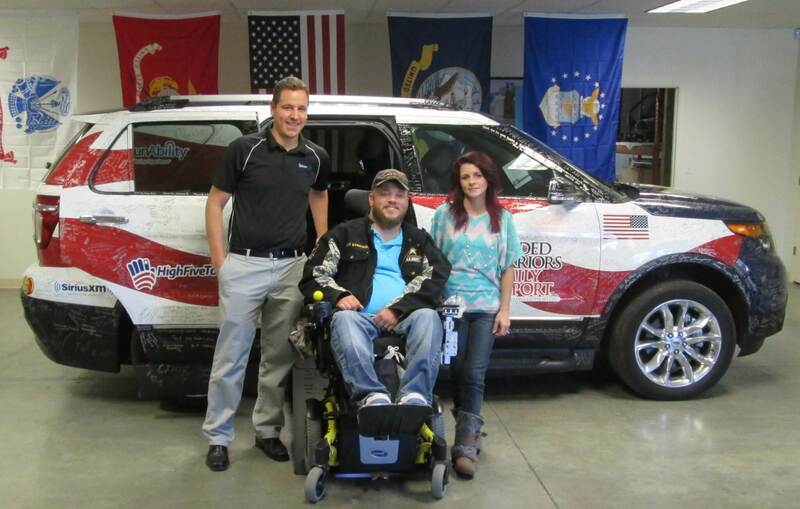 John Weinburgh, an Iraq War veteran, wasgifted a rareMXVTM-one with over 10 thousand signatures of support for the armed services covering its exterior thanks to Wounded Warriors Family Support. John says of his military service, "It was an honor (to serve). Everyone served in my family. My mom, my dad, my grandparents-everyone." Yet that great honor came at a cost-the loss of the use of his legs, forever. John served 12 years before the accident. On that day, he was acting as vehicle commander of an armored personnel carrier that was holding eight other people. The training that day was a live fire exercise, practicing a mission that would take the outfit back to Iraq. John was attempting to receive and give directions, but communication was confused, and the vehicle was driven into a tree. John, the only one outside the vehicle when the tree began to fall, received the brunt of the impact. "I caught the tree so it wouldn't hurt my team," he said with a smile audible in his voice, but the joke only masked the pain endured over the course of the next few years. Upon arrival back in the States in 2006, John was diagnosed with PTSD. He spent from February 28, 2007, through September 8, 2007, in a hospital. Yet the physical pain was nothing compared to the emotional trauma. 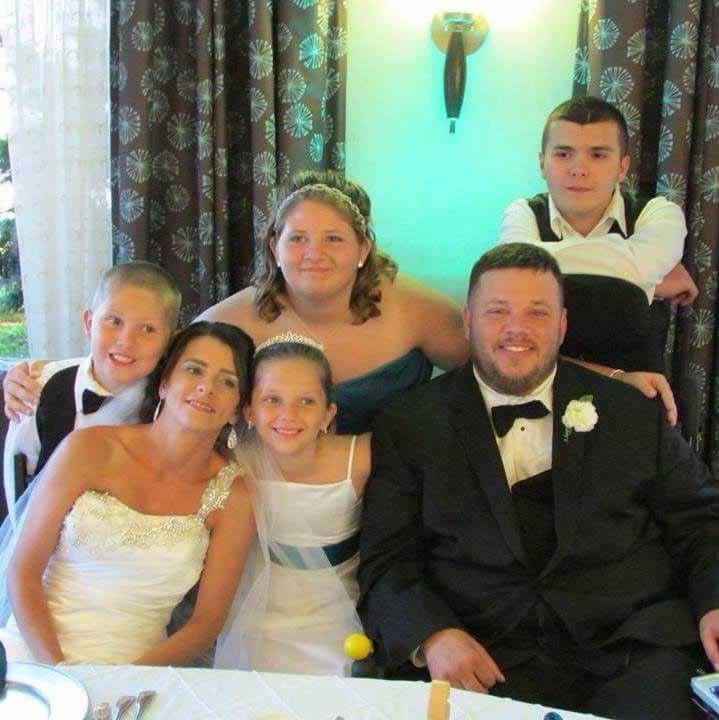 "For me, the hardest part of the recovery was two things-being the father of three young children and not having them understand their dad was different. I couldn't tie my own shoes, button my own jacket, put a straw in a Capri Sun. It made me feel like a bad dad." 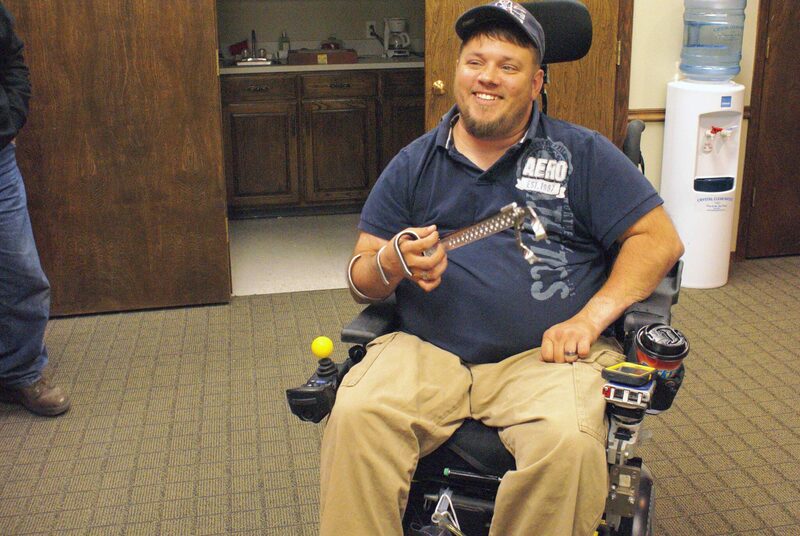 Coping with disability became a real challenge for John, who even avoided being behind the wheel of a vehicle, concerned he would cause further injury to himself or others. Years ago, the foundation that is giving John a greater sense of mobility in his new MXV contacted the VA John was a member of. "They wanted to know if anyone would want to throw out the first pitch at a Kansas City Royals game," John said. "I'm a Red Sox fan, but it's not every day you get to throw out the first pitch at a baseball game." 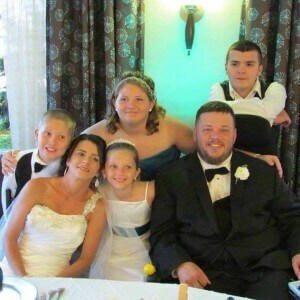 Some years after that, John was selected again by the Wounded Warriors Family Support organization, this time to receive a front-load washer and dryer. 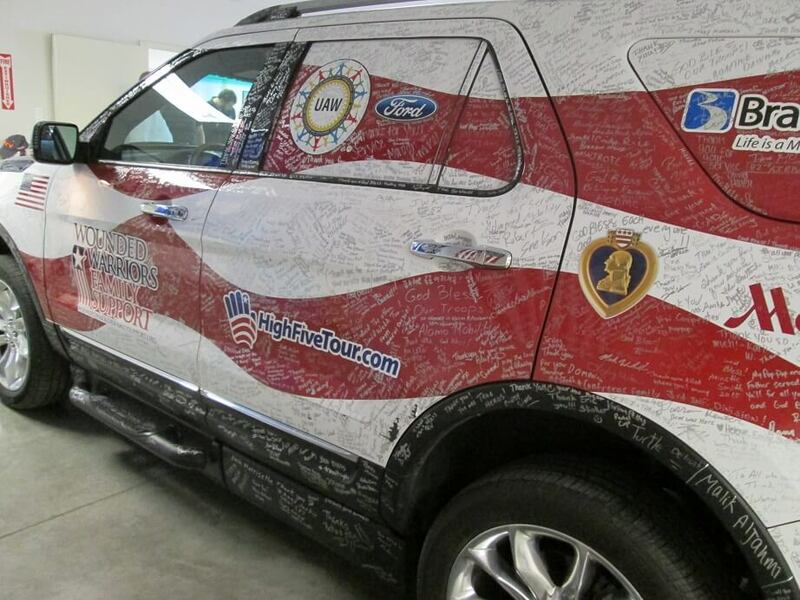 For the past four months, the Wounded Warriors Family Support group have been sendinga 2015 Ford Explorer and a 2015 Ford F-150 over 26,000 miles to more than 100 cities across the United States. In these cities, the community came out to sign their names and words of support for our military heroes. "At the time they started the tour, my van was having lots of issues," John explained. "With me having four kids now, the Ford F-150 wouldn't be big enough. (This donation) means the world to me. I don't necessarily have to worry about something breaking down." In February of 2014, John contracted hypothermia. His car heater broke during one of the coldest winters he can remember in Omaha. It was -10®F without wind chill, and he had just finished dropping off his kids at their mom's house. At the time, he didn't know the ramp had blown a fuse. "When I got back to my apartment, I couldn't get the lift to move. I had to manually put it down," John said. "It took three hours, and the majority of my body can't feel hot or cold. My wife got me out, but I felt fine." She laid John down in bed and covered him in blankets to try to warm him. "She said she's never felt me that cold before. My body started to shut down." After a trip to the hospital, the couple learned John actually had hypothermia and he was lucky to be alive. Now the WWFS foundation is honoring this war hero and upstanding citizen with the gift of reliable mobility, so he can get back to being a dad, like he's always wanted. When asked if he will take the star-spangled wrap with signatures off theMXVTM, he insists it is there to stay. "Hopefully people ask me about it and I can help raise awareness for the group. This group is like a godsend to us," John said. "I am willing to drive around with signatures-that's the least I can do for everything they've done." BraunAbility would like to thank all our armed service men, women and veterans. You gave the ultimate sacrifice in service to our country, and for this we are honored to serve you. For grants and funds near you, check thislisting of suggested starting points to get you on your way to mobility freedom.